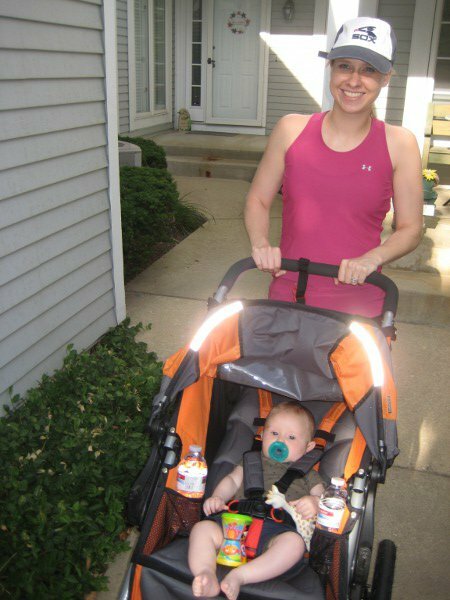 Recently I was asked how I managed to run so much with my oldest in our jogger. It has got me thinking over the past couple of days. I figured I would share my tips for success here. I successfully ran with Jackson in the jogger for several years. Up until I got pregnant with my second. I am about to start jogging more often with the new baby as well. He is almost 7 months old and the weather is starting to be nice enough. We went once, with Jackson on his scooter. I am looking forward to getting them out there more often! 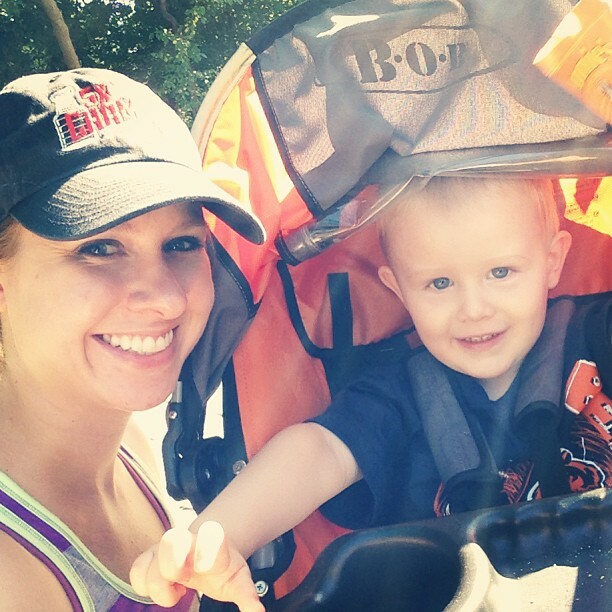 For now, here are my tips on getting in runs with your kiddos and a jogger. Use it as strength training. Do not use the run as a speed run. Joggers are heavy. Kids get heavy. Don’t expect to set a speed PR when pushing them. If you can, well my hat is off to you! But most likely slow and steady will win this race. You are building up endurance. I always compare it to a baseball player swinging a bat with weights on it. When he goes to swing for real, that bat will be so much lighter. When you DO get to run alone you will feel like you are flying! Snacks, toys, drinks, iPhone. Some or all of the above. I always went with the whole shebang. When he would get particularly restless, handing over my phone would give me lots of running time. His personal favorite, Angry Birds videos on YouTube, did the trick. But whatever floats your kid’s boat, use it. And run until your legs are jelly! Be prepared to stop. It is inevitable. You may have to stop to check on something with the little one. They may fuss or ask questions once they can talk. You will most likely have to stop to attend to something. And that is ok. Remember the first point! Talk. Sometimes I would talk to him while running. Hearing momma’s voice is reassuring. You can point out cool things you see. Clouds, birds, etc. Take your time on hills. They can be brutal on an alone run. Add in that heavy stroller and kid we talked about, and they are straight up torture. So, slow down. Shorten your stride a bit. Pull that belly in and up (use your core muscles!) Squeeze your glutes. And never be ashamed to take a walk break up that hill if need be. Try one handed. Sometimes I would alternate hands that pushed the stroller. 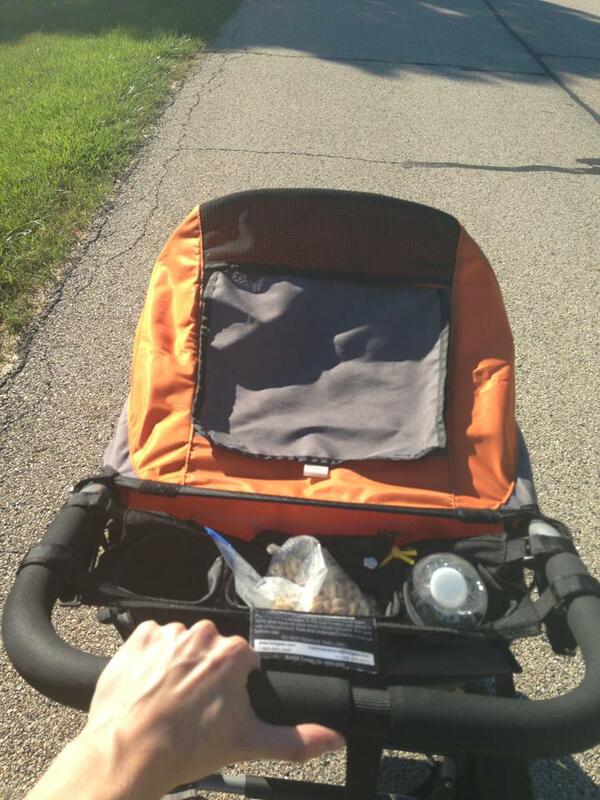 Letting the opposite hand move back and forth as if I were running without the stroller. I found it helped me stop from hunching over. When I keep both hands on sometimes my shoulders creep up into my ears. This is bad form and posture. Switching hands helps me stay a bit more balanced. Stretch. Be sure to take time after your run to stretch it out. Since it is nice enough to run outside, it is nice enough to stretch outside! 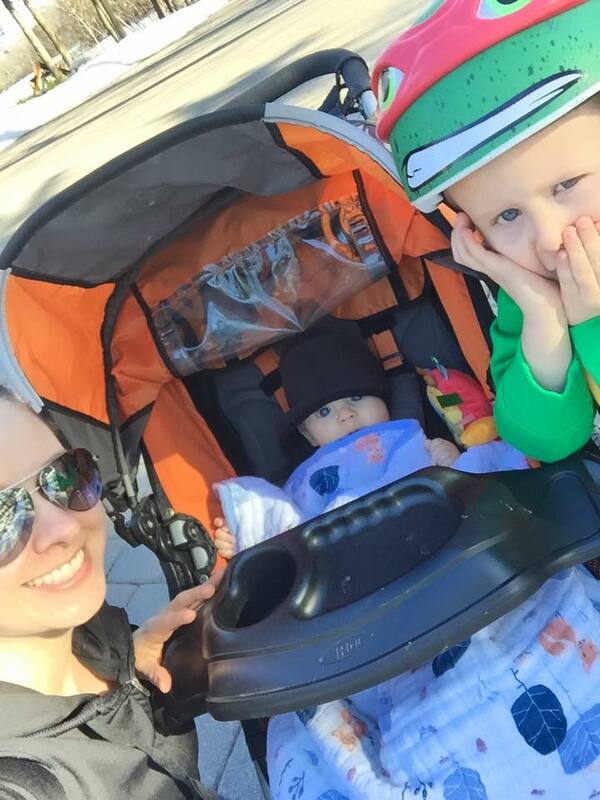 Take the little one out of the stroller and have them join you in your stretching. When Jackson got older I even had him stretch me. Bad runs happen. Don’t be discouraged if you have a bad run. If the baby/toddler cries during a run and you end up having to carry them home while pushing an empty stroller. Been there done that. Like us, kids have bad days and moments. It happens. Take it in stride. (see what I did there?) Hopefully the next run will be better. Use your walk home as clocked miles. Heck, you’re still moving. While carrying a squirming kiddo and pushing a stroller. That is a workout too! Shrug it off and don’t give up! Single handed. Notice extra snacks on hand! Not for me. HA! Pre run selfie with the big guy! 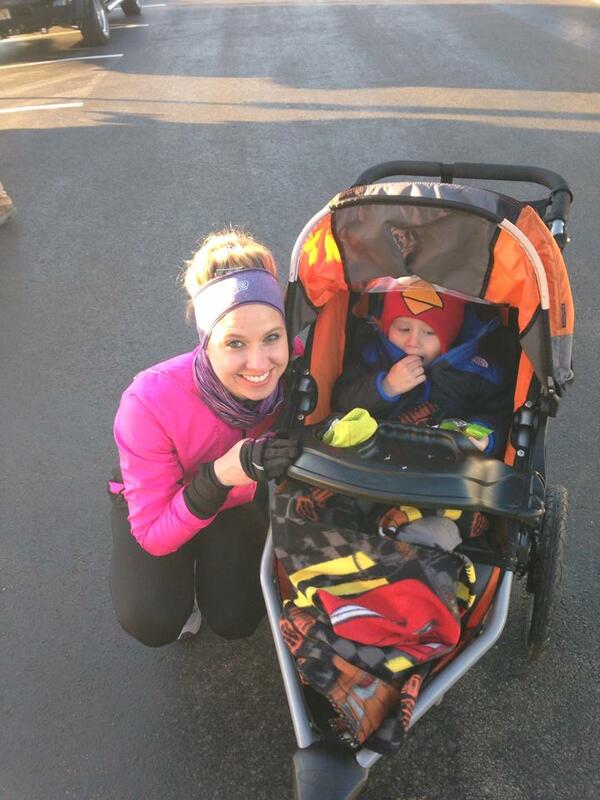 We didn’t run together in this race, but he was there in the BoB to cheer me on! Look how big he was!